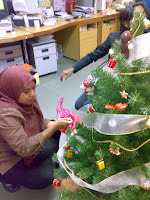 Today my colleagues and I decorating our first christmas tree in the office.It was so fun and we were really enjoying ourselves. Wah wah wah! 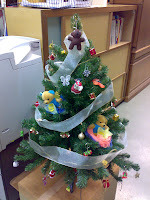 Cool x'mas tree! Merry X'mas, Maria!